My Auntie Alberta, Mama’s sister, passed away at the age of 91 last week. Her funeral was held today in Petaluma, where she lived for many years with my late Uncle Bill. The service was beautiful and moving, and my cousin David spoke from the heart. Though it was a day of sorrow, the group of mourners laughed recalling past adventures. The day was filled with shared memories, love, and plenty of hugs. The top photo shows how much fun I had with my aunt and uncle. They lived on a ranch and I used to love visiting and going for pony rides. 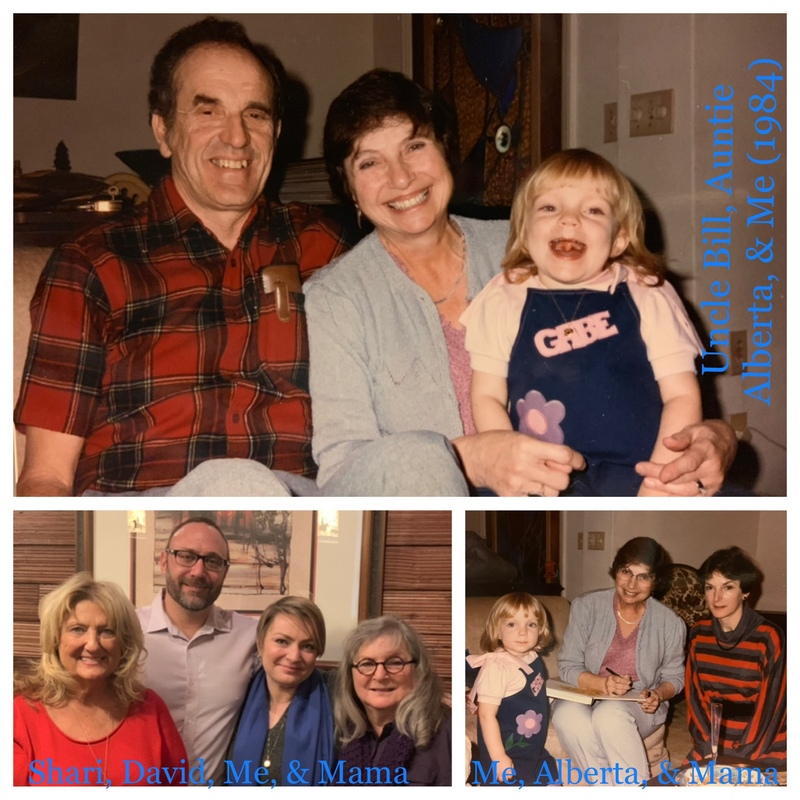 The bottom right photo includes Mama and is another gem from 1984, while the bottom left photo is from today and features my cousin Shari (Alberta’s daughter) and her son David and us. Today’s #OneGoodThing was remembering my Auntie. May her memory be a blessing. Here’s a link to her obituary in our local paper, The Press-Democrat. What was your #OneGoodThing today? Please share in the comments! Day 52 of 365. And Day 1,148 in a row (here’s the first 366, & the following 365, & the third year of 365 good things)! What a warm beautiful smile your aunt had. You can see her love shining through. To have love is the greatest blessings we can give to others.